Why Do 202,586 People Want To Leave Our Planet For Mars? In the piece, King raises an issue to which I have given some thought: the apparent contradiction between candidates’ expressed willingness to leave everything behind, and the notion that these individuals could be sociable (and trusting, and supportive, and loving) enough to work with a small group of other people (probably chosen primarily for their technical competence, and only secondarily for their interpersonal skills) for the rest of their lives. Still, my question is this: Are people eager to leave behind everyone they love — for the rest of their lives — good candidates to succeed at forging a tight-knit colony on Mars? A colony that surely will require great sociability, shared good feelings and cooperation to succeed? What sort of person is willing to sacrifice every significant human relationship, but—once separated from Earth— still capable of sufficient community-mindedness that they could be entrusted with building a new world? The first astronauts need to care intensely about our species, but be willing to leave most of humanity behind for the rest of their lives. They need to be highly socially adept but willing to limit their social interactions to a few people for many, many years. I believe that identifying the personality types that are best suited to these apparently contradictory requirements is one of the principal challenges facing Mars One. • Separation ≠ isolation: Traveling a great physical distance from loved ones is not the same as permanently abandoning them. Written and other forms of communication at a distance have become enormously important parts of webs of social meaning that keep us happy and sane here on Earth, and the same media will be used to communicate between Earth and Mars. The round-trip time lag of 8–48 minutes would make conventional telephony impossible, but the settlers could still use delayed voice and video chat. In any case, I don’t think I’m the only person in the world who talks on the phone far less than we used to back when phones and printed letters were the only options, and I nonetheless manage to maintain a large network of meaningful, satisfying relationships, including some with people I may never see in person again. A large part of social communication involves sharing news and reassuring people who care about us that we’re OK; there would be no obstacle to this happening on Mars. In other words, a major premise of the sociability paradox—the idea that physical separation is equivalent to social isolation—may not hold true. • Mars will be a very small village: Just because someone is willing to leave behind the sprawling, complex societies of modern Earth doesn’t mean that they eschew social life or fail to appreciate the value of intimate relationships. Instead, their brains might simply be more suited to much smaller social networks. Indeed, the interpersonal skills that might help someone thrive on Earth might not be useful or even adaptive on Mars. People who happen to be very good at monitoring zillions of social details might not necessarily find it easy to achieve the single-minded devotion required for the work of starting a colony. The most sociable people on Earth might not be sociable in the right sense for Mars; “social adeptness” is not a one-dimensional trait but a suite of interrelated skills that depend heavily on context. So it’s not that we need to balance social adeptness with tolerance for isolation in a small group; rather, we need to identify the social skills required for this mission and determine who has them in abundance. I’m not sure whether I’m addressing the central issue here, or simply talking around it. It is clear that there will be much more to say on this subject, and I’m very interested in learning more about how others (the selection committee, the other candidates, and readers in general) will be thinking about it. For now, I have a nebulous sense that the sociability paradox involves only an apparent, rather than an actual, contradiction; I’ll try to articulate that more clearly as I think more about the topic. Given the opportunity to die on Mars, I’d take it. Don’t get me wrong. I’m not talking about committing the most elaborate, expensive suicide in the history of mankind. I only mean that a trip to Mars is likely to be one-way; the voyage home, a coin one must be willing to pay the ferryman. 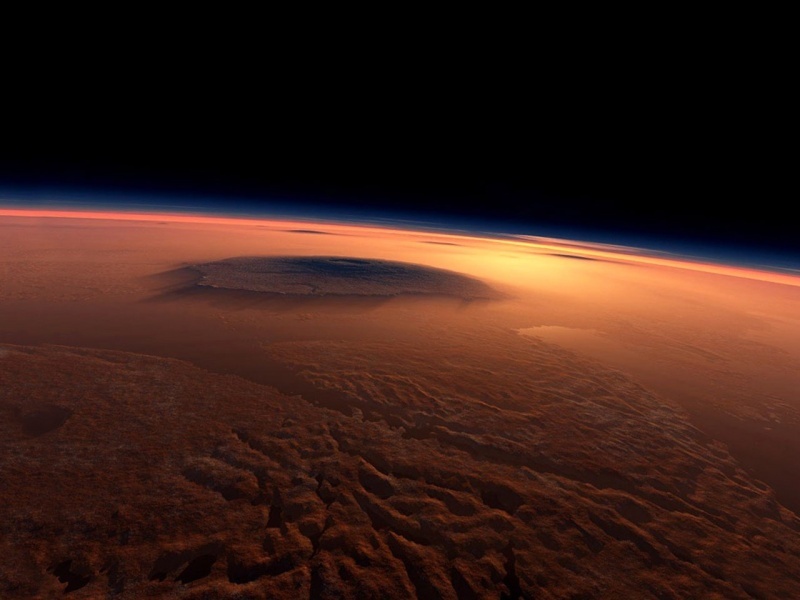 Since I was a boy I’ve dreamed of scaling Olympus Mons. I mean, think of it. A volcano 15 miles high, 680 miles in circumference, rising from a flat plain beyond the Tharsis dome. A mountain big as the state of New Mexico, three times as tall as Everest, soaring to such an height that at its peak there is less than one millibar of atmospheric pressure. Which is to say, a Martian Sir Edmund Hillary would find himself planting his flag on the very edge of space. And the storms. The atmosphere of Mars is too thin to breathe, but thick enough to produce winds. Absent inhibitory features like trees, grass, and bodies of water, these winds can become incredibly strong, picking up more and more loose dust, converging into increasingly complex systems. Sometimes these dust storms can cover the planet’s entire surface, lasting for months, or even years. Now, imagine yourself sitting atop Mount Olympus. Everywhere you look, you have an unobstructed view of the planet’s actual curvature. And then, the leading edge of the storm: rising from canyons in the distance like a vast swarm of insects, blackening the horizon, obliterating first the surface, and then the sun, as if the planet itself were vomiting night. These are the sorts of the things I see when I close my eyes. Thus far, the response of family and friends to the news that I’m involved in the Mars One Project has been either positive or…confused. This post is targeted at people in the latter camp: those who understand that I’m excited about something, but are not quite sure what that something is. If I’m successful, this post will be something that can be sent to anyone who wants a brief, informative outline of the project. Mars One is a privately funded one-way mission to Mars, planned to occur within our lifetimes, with the goal of preparing the Red Planet for permanent human habitation. Last year, Mars One solicited applications from those who would be willing to participate in such a mission. More than 200,000 people from 100 countries expressed interest. Applications involved essays (sort of like a college application), a short video (which I will post here someday when I’m feeling brave), and From the Round One applicants, 1058 were selected for further evaluation. I was one of the people who made the cut for Round Two. The details of the next round, which is underway, will involve interviews, regional selection committees, and physical and emotional trials to determine whether the candidates are up to the rigors of the mission. Ongoing negotiations with media companies will determine whether and how the details of this round are shared with the world; it is very likely that the viewing public (that means you) will play some role in the final selection. Ultimately, some number of groups of four “Marstronauts” will be chosen for 7–8 years of full-time training. If all goes well, a mission carrying the first four settlers will fly 10–12 years from now, traveling from Earth to Mars over a period of months. (The length of the flight depends on several parameters yet to be determined. The interplanetary transit vehicle and lander are TBA; among the topics I’ll be returning to repeatedly on this blog will be the various options for getting us to Mars, as well as how to keep us healthy en route and on the Martian surface.) The settlers will be preceded by shipments of supplies, including habitation modules, life support systems, power sources, and other necessities (not to mention scientific instruments, etc. 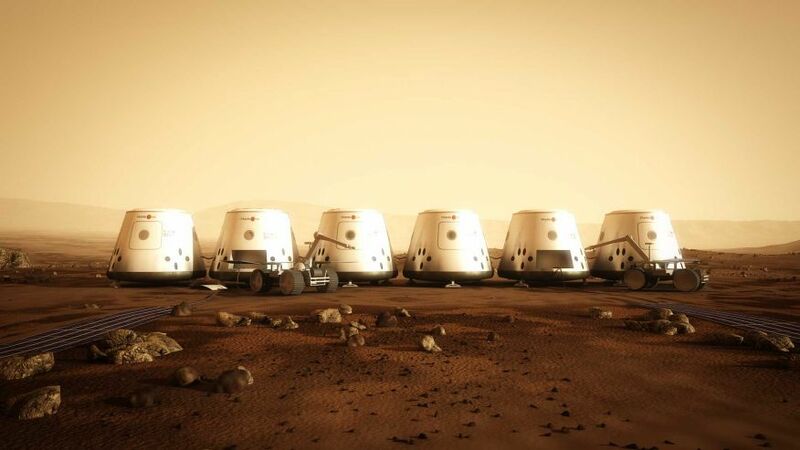 ), with which they will make their first home on the Red Planet. Once on the surface, the settlers will pursue multiple goals: scientific research, to be sure, but also expansion of the primary base for the arrival of additional settlers: Mars One plans to fly four more astronauts on every launch window (roughly once every 2 years). Now all we need are fair winds and a few billion dollars. Mars One estimates that the primary mission can fly for $6 billion, an estimate that most critics consider far too low. The current plan for acquiring that money involves a combination of philanthropy on large and small scales, as well as the sale of merchandising and the media rights to broadcast the selection process. (Stay tuned: you might be seeing me on reality TV.) I think that skepticism about the business model is nothing but healthy, and I’ll be exploring the details in future posts. I don’t know exactly how it would affect me; perhaps I am unable to imagine it vividly enough to make it feel real. I would be suspicious of anyone who was confident that they knew their reaction this far in advance. The best answer I have is that it would be a huge sacrifice, but that huge sacrifices are called for when the prize is a whole world. Lots more to come. Thank you for joining me. Please feel free to +Follow the blog, subscribe to the RSS feed, follow me on Twitter, and — most importantly —if you have questions, please post them in the comments. There is so much to write about; I’m going to rely heavily on the interests of my readers (i.e., you) to determine what to talk about first. For more information (and for the sources I used when writing this piece), please explore the following. Last July I applied as a candidate for the Mars One Project, an audacious and unprecedented effort to privately fund a one-way human mission to the Red Planet. More than 200,000 people from more than 100 countries submitted initial applications, which were judged on the basis of the applicants’ resiliency, adaptability, curiosity, ability to trust, and creativity. On New Year’s Eve of this year, I learned that I was one of 1058 candidates chosen for Round Two, a process that involves a medical examination (basically a routine physical, already complete), additional interviews (yet to be scheduled), and additional evaluations as yet unspecified. And I’ve decided to go for it. Obviously, I have a lot of questions—about the technological and logistical details of the mission; about the feasibility of the plans for funding and sustaining the project; and about Mars itself. This weblog is one way for me to start answering those questions for myself. I’ll be learning about planetology, orbital mechanics, hydroponics, astrobiology, and many more fields—and trying to summarize my findings in a clear way, not just for myself but for others who are interested (and, like me, inspired by the cause). So I welcome your questions, even as I’m trying to answer my own. Because of its educational goals, the blog will be a kind of notebook. 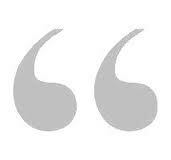 Each article will likely be incomplete in some way, a launching pad toward the next piece on a related subject. I will often be writing at the very limit of my understanding, and as a result I will sometimes get something blatantly (and perhaps hilariously) wrong. So be it. The blog has other missions, too, not least to spread the word about Mars One. When I first heard about the project, it caught my imagination and wouldn’t let go, and I know that many others will feel the same way and seek to learn more. Will the Mars One mission really happen? I don’t know, and it’s sometimes hard to hold the conflicting thoughts in my head at the same time: on the one hand, the desire to take it seriously; on the other, the knowledge that the audacity of the mission makes it unlikely to succeed. So I don’t know whether Mars One will ever take us to Mars, but I do know that I’ll be taking my participation as seriously as possible for as long as possible. Because one day, human beings will set foot on Mars. And regardless of whether Mars One sends them there, the efforts we make and the conversations we have, now, as part of this project, will inform the decisions of those who ultimately do. FirstJaxon on What Is Mars One?